This cryptic is a little different. It's highly inspired by The World's Tallest Cryptic by Ucaoimhu, but there are additional twists. 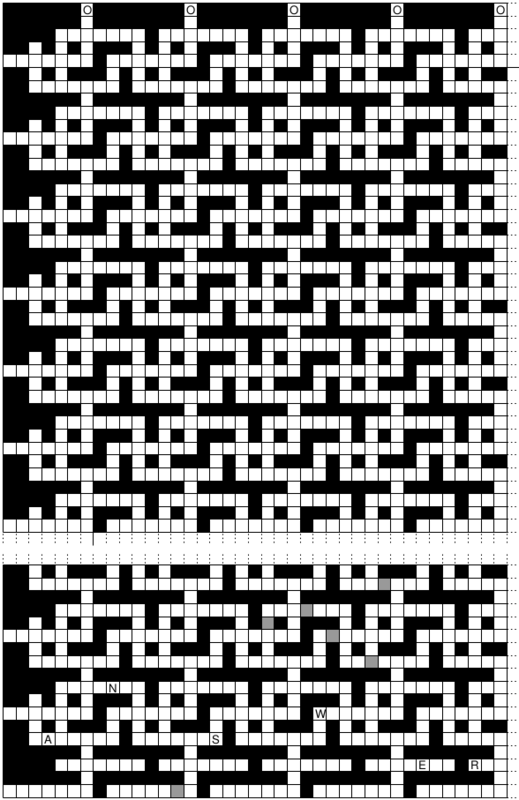 Each clue has a single answer, but that answer may appear in several places in the grid. Some letters have already been filled in for you. For the final answer, rearrange the letters from the six grey squares to obtain a pioneer. Made from wings I've lost in dreams. Social insect fills awkward silence with hymns of loyalty. Reportedly fell out of the sky and governed. Proud to upset somebody who never graduated. Imply fraud with a written statement. Hoggish earl goes after tableware from which regurgitated ale was removed. Vocalists made out of recycled cartons. Baked delicacies filled with a black liquid and small fingers. Otis abused a programming language without any signs of distress. I boiled rice at a lower temperature. Perhaps Darling and I've squeezed into a luxury car. Small nut found inside a cornet. Antiquated base next to an alien group of instrumentalists. Dangle a part of Pedro openly. Gather over a repeating sequence of instructions. The German random number generator. Comments are disabled for this page. At some point, you should head over to the extended discussion page which contains spoilers (and allows comments). But don't do it too early.